Is SpaceEngineer going to be okay? I love a person with good taste. Let's make a deal, you share one recipe of yours, and I'll share one of mine. I give you a little cooking tip, though, kitten paw adds a lot of flavor, so be careful with it. That was a joke. I don't actually eat kittens and I am vegetarian. But I don't really like kittens (as pets) either. Or dogs, for that matter. 2) Russia is a huge place; how much danger would you be in if there was a conflict in Baja California? This thread is terribly useless, I am merging it with the off topic thread. Please don't make useless threads. Hey Mike, is the new Cosmos series any good? If this is wire, any chance that you would get more speed through the mobile phone network? A mobile carrier offering affordable unlimited internet? In the United States? NOPE. No such thing. No such thing as affordable internet anywhere, except for some places where Google Fiber has come to, which forces other ISPs to drop their prices to compete. 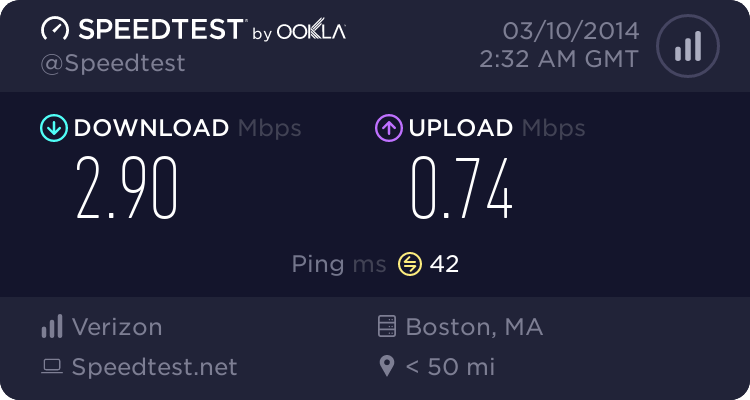 But the only ISPs where I live are Verizon DSL (top speed 3 Mbps), Comcast (expensive, and terrible company, but the only choice for high speed internet), and HughesNet, which is a crap satellite internet provider; expensive, and limited data! So I have no options. I have optimum and get about 50 mb/s download and 30 mb/s upload. That is really unfortunate (speed wise). How do you watch videos? Do you do the "pause, go make food, come back when its buffered" thing? I used to do that, when my family was using verizon and they decided that they did not want to support our internet anymore and gave us a bunch of made-up accounts, each with $500+ bills. So we switched away. Do you do the "pause, go make food, come back when its buffered" thing? I used to do that for 1080 vids, but then YT made it where it only buffers a little bit at a time, so now I download them. But with my current speed I can stream 720p on Youtube, so that's really nice.